Mom to Work Wear: White Skinny Jeans. Doing several Style Challenges at once, following prompts, posting a mix of Wintery among Spring Outfits, styling pieces from my casual daily and weekend mom wear to work/office wear and teaching, plus packing for a few days on an overseas trip - yep it's all in a month's work for this blogger. LOL I am glad to do another "Mom Wear to Work Wear" type of post today, while showing you another Spring Essential for me (which I included in my top 10 items): Skinny White Jeans. I love, love this pair from Zara I recently got, and the gold zipper details towards the back on the bottom, adds that much more cuteness. White Jeans are also The Third Thursday theme that Bri does every month, so I am glad I am showing you two ways to wear them, though one feels more Wintery and the other more Springy. Oh well. First of all, it looks like these Outfits are months apart but the Mom Outfit (on the left) was from the weekend before last, while the Office/Work Outfit (on the right) was worn a few days before that. But you know Sprinter (Spring+Winter). The Mom Outfit was worn during a very cold, rainy day. I love how crisp and striking the shades of Beige and Camel look with the White Pants and if this Outfit is familiar is because I pretty much copied the 2nd Outfit from this post. It is actually the Camel/Beige version of the same Turtleneck Sweater which this time I paired with White Skinny Jeans as opposed to the Black Turtleneck paired with the Black Skinny Jeans. And yes, I am even wearing the same Cognac Boots. That Leopard Beanie was most definitely necessary to keep me warm for all the outdoor walking I did in the rain. Love the slight Pattern-Mixing between the Stripes and Leopard. For the Work Outfit I also wore some Beige/Camel Shoes but they are Cute, Strappy Pointy Flats and definitely a lot more Springy. I paired my Classic Navy Ponte Blazer which I just showed you very recently with my Pink+Red+White Thrifted, Light/Breezy Plaid Button-down, a long Beaded Black+Blue Crystal Necklace with Matchy Earrings and my Navy+Heart Faux Ostrich Over-the-Shoulder Purse. I did mix in a little Red+Gold+Pearl Braided Bracelet to mix and match with the Red+Navy for some Nautical Inspiration in this Outfit. I do apologize for the Pictures. I think there was a abundance of natural light that was forbidding me from taking nice photos. But I actually love both of these Outfits and they are 100% me. So, what do you think of each look? Would you wear them? Camel/Beige, Wool, Turtleneck Sweater w/ Thin White Horizontal Stripes: Pull & Bear (neutral beige option in merino wool by Gap, on sale), (gorgeous cowl-neck, cable-knit option by F21, great deal, love this), (gold metallic cowl-neck option, best deal, love this). White Skinny Jeans w/ back Gold Zipper on the hem: Zara (New) (similar by J.Crew Factory, great deal, love these), (Rockstar by Old Navy, best deal, love these), (similar by True Religion, Splurge), (similar by Levi's). Beige+Brown Leopard, Pom-Pom Beanie Hat: Terranova (New) (similar in snow leopard, love this), (similar, great deal), (fun option in purple+blue cheetah, best deal, love this). Metallic Stretchy, Gold Bracelet w/ Silver Pave Butterfly: A Local Boutique (New) (similar in rose gold w/ pave butterfly, great deal, love this), (similar dainty gold w/ butterfly by Gorjana). Navy Ponte Blazer w/ Pinstriped Lining & Real Pockets: H&M (very similar, great deal, love this), (similar, for 30 bucks! ), (navy striped option by Target, best deal, love this), (gorgeous tuxedo style by Theory, Splurge, love this). Red/Pink/Baby Blue, Plaid-Long-Sleeve Shirt: Thrifted (similar, great deal), (similar w/ short sleeves, comes in 2 colors, best deal), (similar, on sale, love this), (pink+multi color option by Old Navy, fantastic deal, love this). Beaded Drop Earrings w/ 1 Black & 1 Navy Crystal Stones: White House Black Market (similar by Kenneth Cole, great deal), (similar w/ faceted crystals by Kenneth Cole, love these), (gorgeous all navy option by Jones New York, best deal). Red Braided Bracelet w/ 1 Large Pearl in the middle & Gold Beads on the side: A Random Street Vendor (New) (similar, gorgeous option, love this), (similar set of 3 by Mango, best deal). Beige/Camel, Faux Suede, Cut-Out Pointy Ballet Flats w/ Gold Studs: Il Cammino (similar by Aeropostale, best deal, come in 2 colors, love these), (similar comfy ballerinas), (similar, Splurge), (gorgeous loafer option in camel+leopard colorblocking, great deal, love this). Lauren, Lindsey, Liz, Madeline, Miriam, Mix it Monday, Saumya, Shanna, Shea and Zaz. 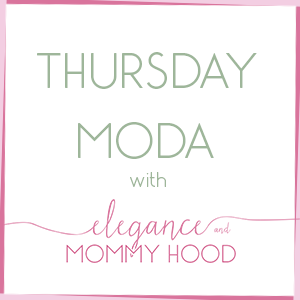 I wore the first outfit for, so I am linking up with Jana.